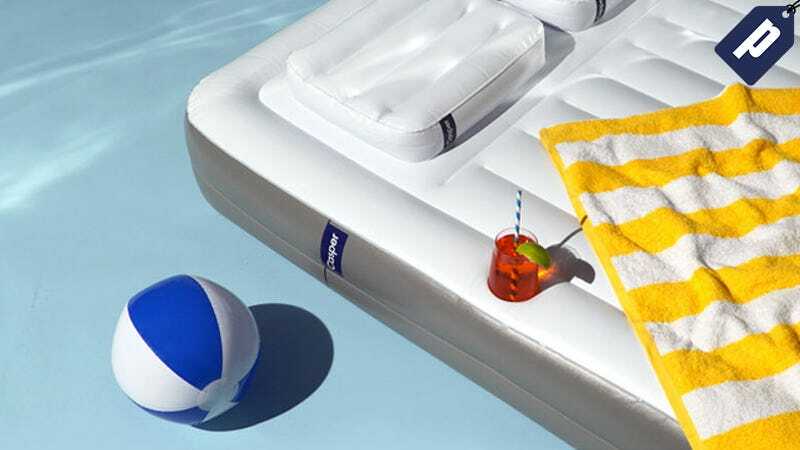 Casper wants to keep you cool all summer long so they’re taking $50 off any mattress plus you’ll get a free pool floatie with promo code ROOT50. You’ll even have a 100-night trial to sleep on the Casper at home for months without committing. Free floatie valid with orders placed by 6.14.17. While memory foam is supportive and comfortable it tends to retain heat, so with the added top layer of breathable foam, the Casper mattress keeps you cooler while adding natural bounce to the support below. The Casper ships for free and rolled into a small box that can fit through any doorway. If you decide it’s not for you during the trial, they’ll send someone to pick up the bed for donation and refund your purchase. And Casper offers sheets, pillows, box springs, frames, mattress covers, and even dog beds to complete your sleep experience. Casper obsessed over better sleep to keep you feeling weightless, cool, and supported during those hot summer nights. Mattresses start at $550 (twin bed), and backed by a 10-year warranty, but you can take $50 off any Casper plus a free pool floatie with code ROOT50.